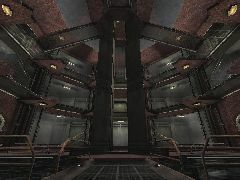 It is basically a very cool looking map with similar Conveyer-Deck17 type textures, and I have some cool NIN music to go with it. It is a 1-on-1 style map, but I like alot of action and play it with like 8 players. 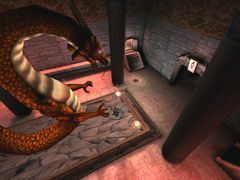 It consists of 3 levels in an arena style map, with an elevator and lots of windows. Based on the VTM mapping tutorial from 3Dbuzz.